Bikepacking is the name given to a somewhat new pastime, a hybrid of mountain biking, bicycle touring and self-supported camping. 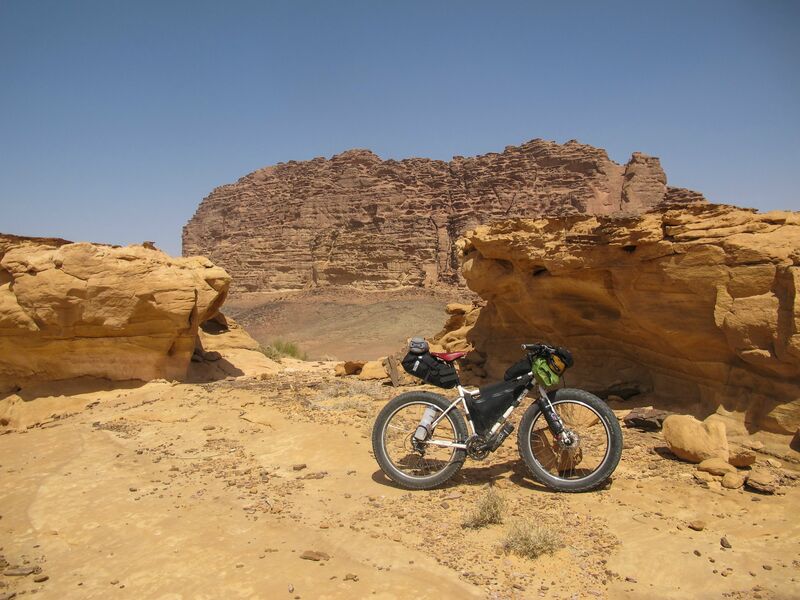 The term has been around for a while (I've seen it used in a 1970s article, referring simply to self-contained bike touring) but recently has come to be used for lightweight, usually rackless, usually off-road, usually shorter-length bike touring. There may be some debate about the definition, but everyone seems to agree that you should be outside getting mud on your bike, not arguing on the internet about whether a two-week road tour with an ultralight bag setup is "bikepacking" or not. A useful site for those interested in bikepacking is, aptly, bikepacking.net, and the MTBR section on bikepacking is a good forum for discussion and learning as well.